Hearing panels to investigate ethics complaints would use the civil standard of preponderance of the evidence, instead of higher legal standards, to find violations. Plaintiffs in a historic educational lawsuit on Friday pointed to a new court filing from Judge Sarah Singleton to say that state officials should reverse how they’re funding public education: Instead of seeing how much they have to spend first, they should identify educational needs and then figure out how much they cost. Singleton’s eight-page order, issued Thursday, comes as the lawsuit’s plaintiffs and allies are in a tug of war with Gov. Michelle Lujan Grisham and the Legislature over how much new money to earmark for the state’s public schools. A coalition of plaintiffs, teachers, parents, students, district superintendents, bilingual experts and nonprofit organizations want the governor and state lawmakers to dedicate $1 billion in new funding, double what the governor and the Legislature are proposing. Singleton’s order is short compared to her ruling last year, which found New Mexico guilty of shirking its constitutional duty to adequately educate at-risk students, but it packs a wallop. 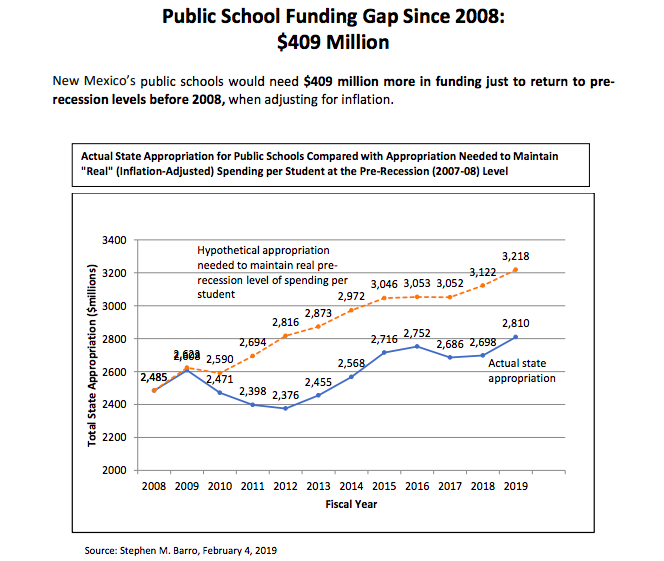 The judge wrote of New Mexico’s school children caught in an “inadequate system” who will “be irreparably harmed if better programs are not instituted,” And that the state’s duty is to “not conserve financial resources at the expense of our constitutional resources.”Those shortcomings should be addressed “as soon as practicable,” Singleton wrote. 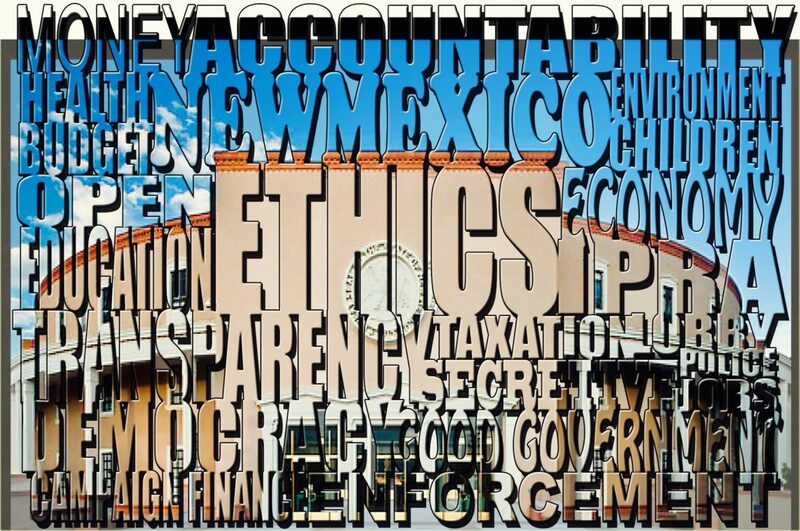 Is it ‘Groundhog Day’ for ethics reform in NM? 2019 is beginning to feel a lot like the 1990s Bill Murray movie “Groundhog Day.”Twelve years ago, at about the same time in the legislative session as we are now, I reported that ethics reform efforts were on life support. I’m not ready to make the same call in 2019. But with four weeks to go in this year’s session, agreement on a bill to flesh out the powers, funding and operations for a seven-member independent ethics commission added to the state Constitution by 75 percent of voters in November isn’t looking quite as inevitable as it once did. As of today, there are competing ethics commission bills. With a month to go in the legislative session, history may be about to repeat itself. But voters probably won’t be too happy about it. State lawmakers have four weeks to agree on a bill to flesh out the powers, funding and operations for a seven-member independent ethics commission voters added to the state constitution in November. 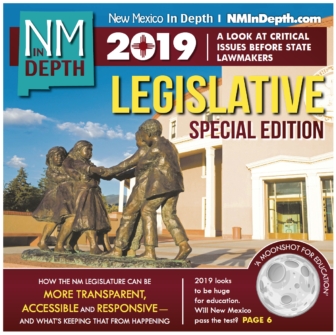 As of Thursday, there are competing bills and both are in a race against time in a legislative body that’s as prone to kill good government ideas as approve them, based on the New Mexico Legislature’s track record over the past decade. 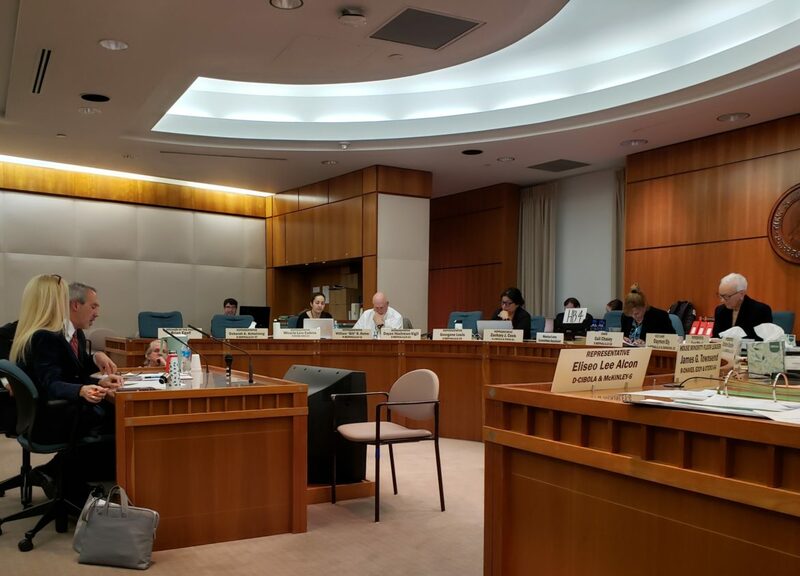 The week started with the introduction of a state ethics commission bill (HB4) sponsored by Rep. Damon Ely, D-Albuquerque. As a powerful House committee nears completion of a draft state budget this week, leaders of a movement to transform New Mexico education through multicultural, bilingual education reforms say crucial funding to achieve their vision could go missing from the soon-to-emerge spending plan. And they say it’s already gone missing from a House omnibus education bill. They worry too that legislative leaders aren’t taking seriously the need to strengthen three state laws focused on multicultural, bilingual education that are at the core of a historic court ruling by a state judge last year. In her scorching July 2018 ruling, Judge Sarah Singleton found the state guilty of depriving large swaths of public school children of their constitutional right to a sufficient education. “I don’t think there is direct opposition that I see,“ Rep. Tomas Salazar, D-Las Vegas, said of funding and multicultural, bilingual education ideas during a late-morning press conference put on by Transform Education NM, a coalition of teachers, parents, students, district superintendents, bilingual experts and nonprofit organizations. Congressman James E. Clyburn of South Carolina will speak to a joint session of the New Mexico Legislature on Friday as part of African American Day at the Roundhouse. Clyburn, House Majority Whip, is the third-ranking Democrat in the U.S. House of Representatives behind Speaker Nancy Pelosi and Majority Leader Steny Hoyer. Clyburn started his career as a public school teacher and is a veteran of the civil rights movement, helping to organize marches and demonstrations as a student leader at South Carolina State College, according to his congressional website. He met his wife, Emily, in jail following a student demonstration.Clyburn, whose speech will cap Friday’s celebration of African Americans in New Mexico, will speak to members of the state House and Senate around noon. At a news conference Wednesday, Democratic Gov. Michelle Lujan Grisham responded to a New Mexico In Depth story that showed while the state has the largest known share of prisoners diagnosed with hepatitis C in the nation, few are being treated. That’s despite new, nearly fail-safe treatment medications coming onto the market at increasingly low prices. New Mexico faces difficult choices, Lujan Grisham said, partly because so much is out of its control. Incarcerated individuals who contract the disease on the outside might only become aware of their plight after a screening in prison, Lujan Grisham said. Beginning in 2009, New Mexico began offering all prisoners screening for hepatitis C, which is not a universal practice. Want to learn how to follow the money? Check out this training opportunity. Reporters and editors, are you looking to up your political-reporting game? The folks from FollowTheMoney will be in Santa Fe this Wednesday, Jan. 30, to conduct a training on how to invigorate your reporting. 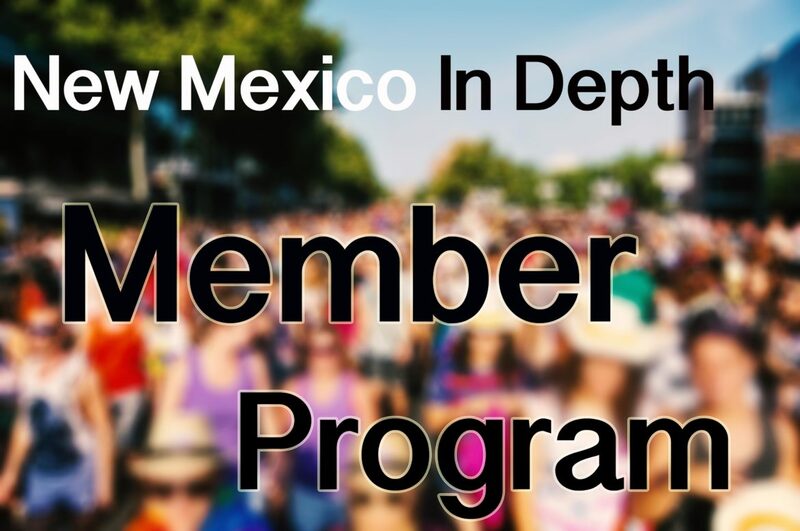 The training, from 5:30 p.m. to 7:30 p.m., will be held at the Santa Fe New Mexican office. See this page for more information and details. It’s difficult to assess if Egolf’s statement is historically accurate. The Legislative Council Services library doesn’t have historical data about how the Legislature has changed over the years, regarding ethnic and racial diversity. But they do have data about women.